Not really abandoned. But this decrepit ship, once the majesty of the seas, has been rotting on our waterfront for years. Thank goodness for Gerry Lenfest and his efforst ro preserve it rather than let it be sold for scrap. Read the story below. This afternoon, at a reception at the South Philadelphia IKEA cafe, the ocean liner SS United States became the property of the SS United States Conservancy. According to the terms of the $5.8 million grant from philanthropist H.F. “Gerry” Lenfest, the nonprofit group now has 20 months to raise the funds needed to redevelop the ship as a stationary attraction, most likely either in New York or Philadelphia. 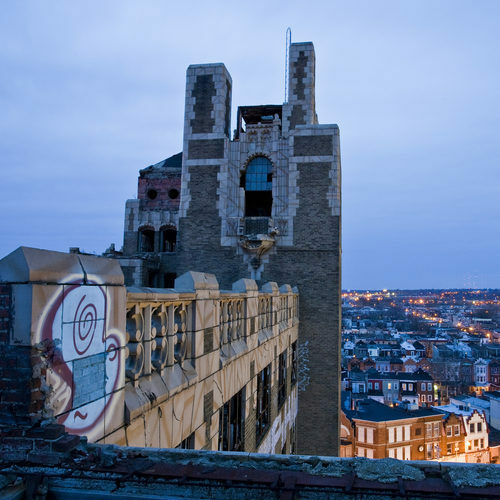 Read complete story: A big step for the Big U | PlanPhilly: Planning Philadelphia’s Future. This entry was posted in Shell Properties, Urban Renewal by Stephen Arrivello. Bookmark the permalink. Good news – I’ve got a bit behind on the current situation of this liner and didn’t realise there was money in place nor a timescale to start overhauling it. 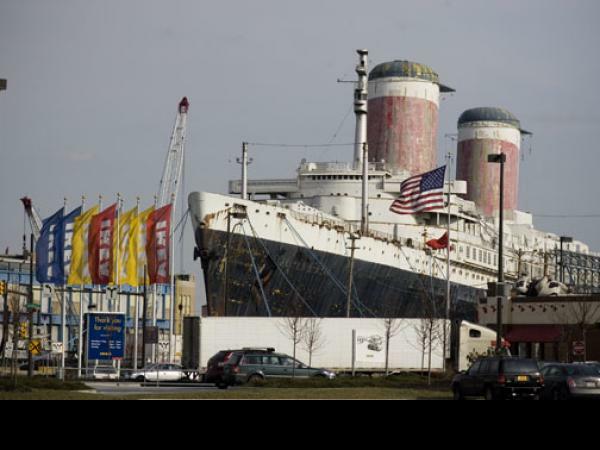 Hopefully it can be done as the SS United States is an important slice of history – although it does like quite impressive in its current state too!